Advertisement at Las Palmas de Gran Canaria streets. 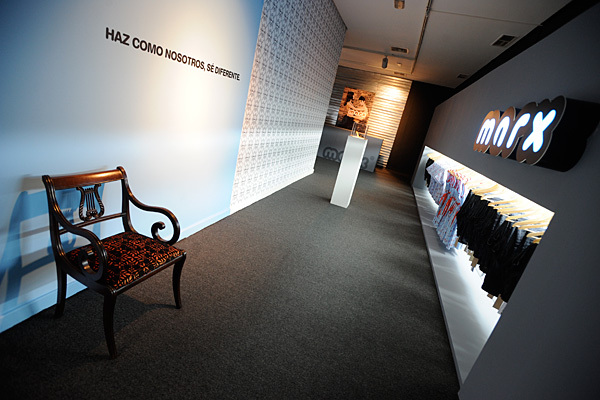 Organised by : Centro Atlántico de Arte Moderno - CAAM. 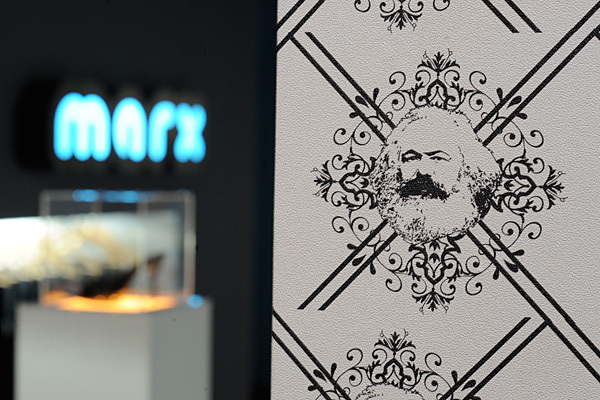 Between the 11th of July and the 12th of October, the CAAM San Antonio Abad gallery will be showing the MARX® project, a co-production by LABoral - Gijón's Art and Industrial Creation Centre - and CAAM in Las Palmas de Gran Canaria. The project is the creation of PSJM, a team of artists formed by Pablo San José (Mieres, 1969) and Cynthia Viera (Las Palmas de Gran Canaria, 1973) and based in Berlin. By means of simulacra, the MARX® project reflects the paradoxes involved in any criticism of the system within present-day capitalism, and immerses itself in the concerns surrounding the identity of the individual. 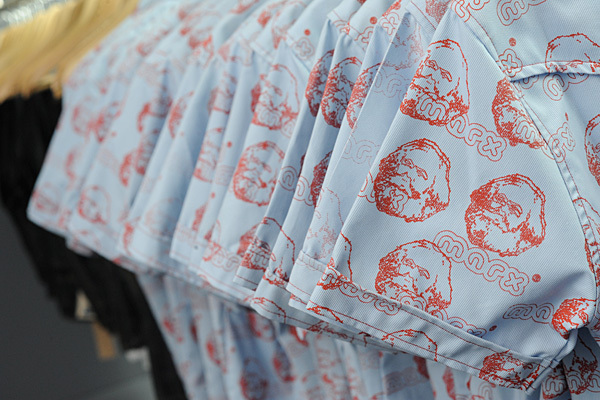 After creating and registering the MARX® trademark, the artists have produced a series of objects on which it is represented, including jeans, shirts, dresses and shoes. 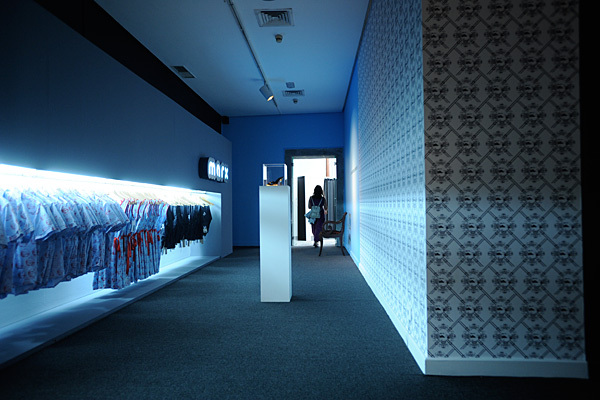 The publicity campaign promoting the project through advertising spots, awnings, the printed press and radio, catalogues and original music forms part of the work, which will be displayed in its entirety in the MARX® boutique. In 1998 Pablo San José decided that his signature would become a trademark. His interest lay in the processes of promoting artistic signatures and their parallelism with other commercial brands and he began a series of work that continues even to this day; a project that grows with each finished piece of work. "The artist is the brand, the artwork is the product". In 2003, Cynthia Viera, graduate in International Business and Marketing Management, joined the project in order to turn the theoretical intentions of working under genuine business structures into a reality and to legally formalize the team as a commercial brand. This structural evolution has also decisively affected the type of work that has been produced ever since. 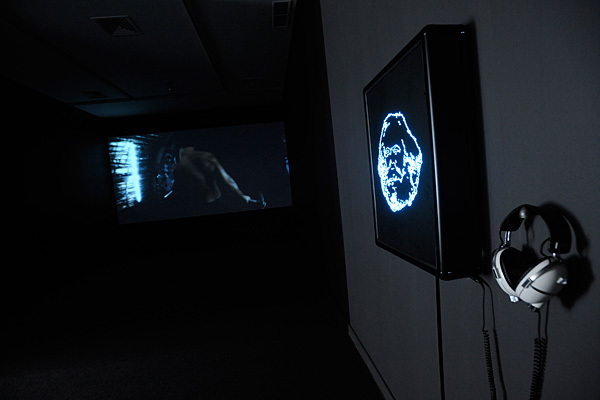 The team began to take on more complex projects wherein the language and the procedures of marketing were experimented with in order to reveal their paradoxes and to develop a critique that is accessible to as many people as possible without neglecting a higher discourse that places these works within the intellectual concerns of contemporary art. PSJM acts as an avant-garde commercial art brand which poses questions regarding artwork in the marketplace, communication with the consumer, and the function of art, whilst making use of the communicative resources of 'spectacular capitalism' in order to highlight the paradoxes arising from its chaotic development. 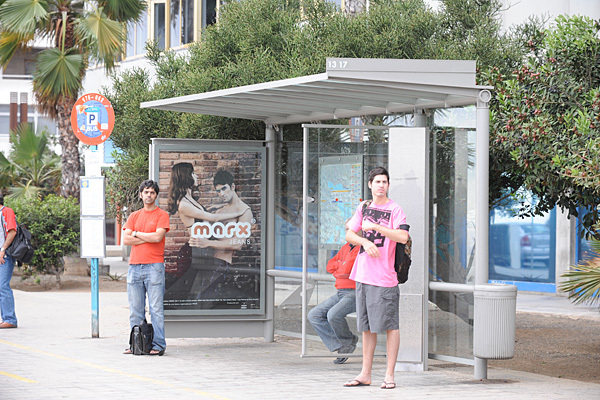 PSJM have exhibited in cities such as New York ("The Real Royal Trip... by the Arts", PS1-MOMA, in collaboration with El Perro and Aitor Méndez), Miami ("Deluxe Miami", Casas Riegner Gallery), Cologne (KunstKöln04, Blanca Soto Gallery), Berlin (ART FORUM 05 and "Shopped to Death", Tuteurhaus), Sao Paulo (Baró Cruz Gallery) and London ("Scope 05", Ethan Cohen Gallery) as well as in numerous group and solo shows throughout Spain, including "Trial Balloons" at MUSAC, in the city of León. The PSJM brand is represented by Espacio Liquido in Gijón, Ethan Cohen in New York, Blanca Soto in Madrid, and Saro Leon in Las Palmas G.C.